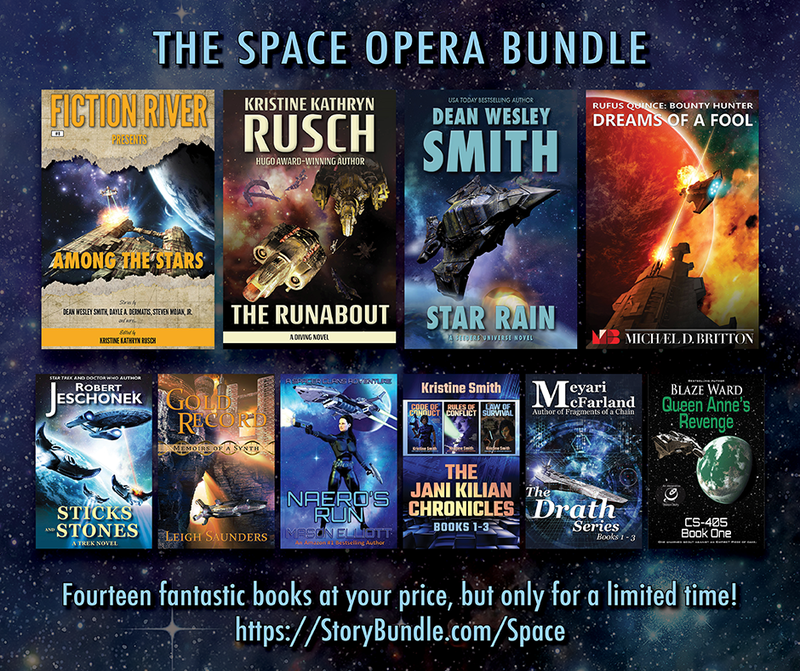 I’m thrilled to have The Jani Kilian Chronicles Books 1-3 offered as one of the books in a nifty Space Opera Storybundle. This bundle includes works by authors I’ve followed since I first got started in the 90’s, like Kristine Kathryn Rusch and Dean Wesley Smith, and new to me authors like Blaze Ward, Michael D. Britton, Meyari McFarland. Check out the Storybundle page for links to excerpts and info about the authors. As an added coolness, the charity that will receive a portion of the sales is AbleGamers, some great folks who provide people with disabilities modified gaming equipment and assistive technologies so they can continue to have fun with their friends and families. Your ereader’s bored. It wants some Space Opera! Tales of derring-do–and a few don’ts–and the ability to help others. I think it’s a pretty good deal, and I hope you do, too. Next → Next post: Finally, Spring!